The Sincpac C3D includes some new features that can best be described as "Dynamic Reports". 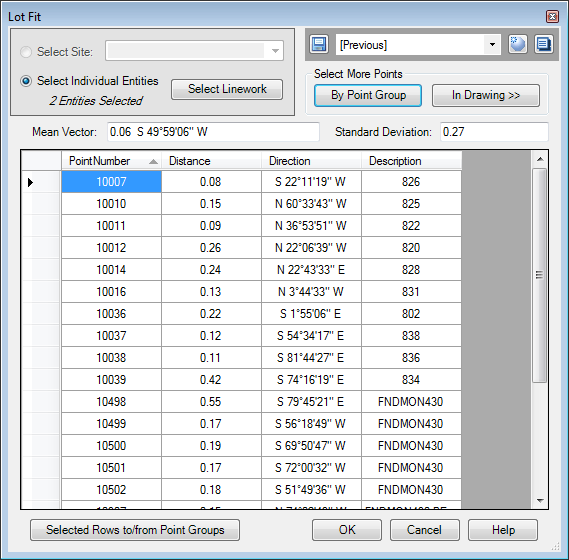 These features include the DisplayPoints and DisplayAlignProf commands, along with the new LotFit command. Unlike the standard Reporting options in Civil-3D, these commands are "interactive". 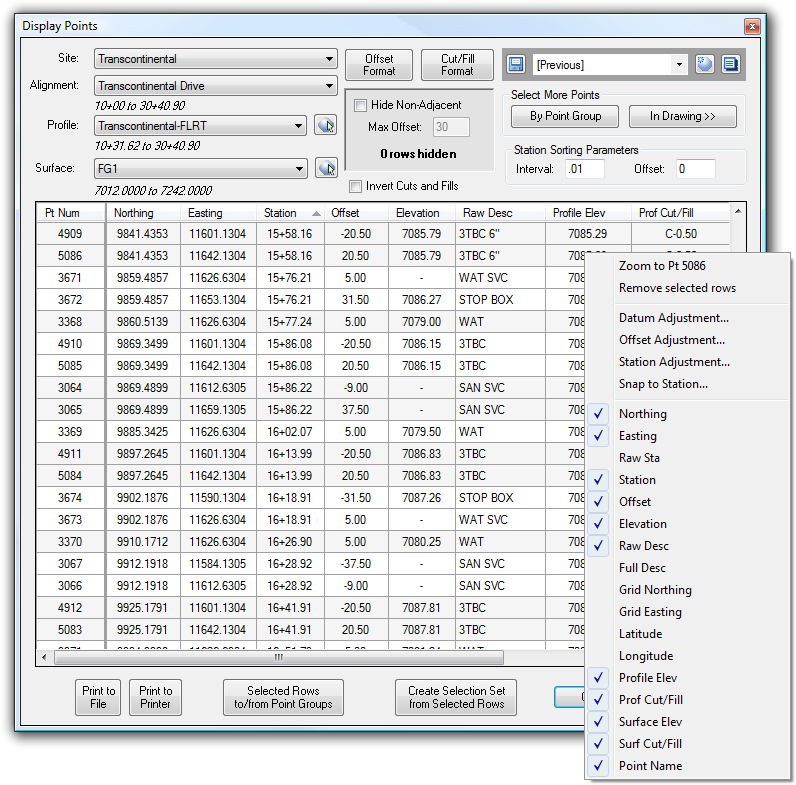 For example, in the DisplayPoints command, shown below, points may be added and removed from the list, the columns may be dragged into different arrangements, and the data may be sorted by any column, in either the increasing or decreasing directions. 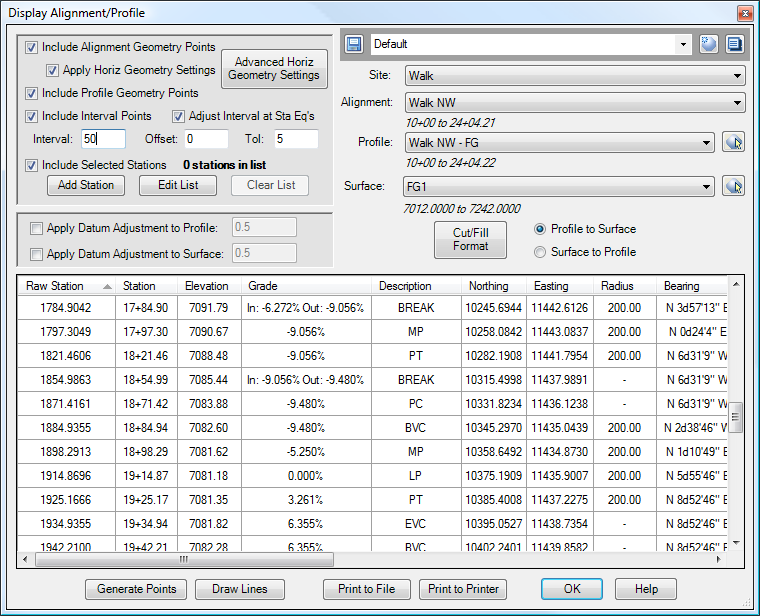 The Alignment and Profile used to generate the station and offset can be changed by selecting a new one in the drop-down boxes in the upper-left. 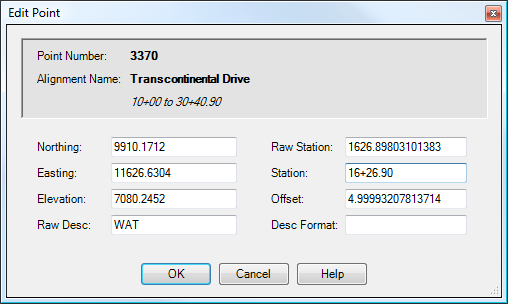 And the entire display may be copy-and-pasted into Excel, or output to a CSV or tab-delimited file by hitting the "Print to File" button, or sent straight to a printer by hitting the "Print to Printer" button. And be sure to check out the video demonstration to see the DisplayPoints command in action. The Reporting commands are available in the Power Module of the Sincpac C3D (or in the Full Edition, which includes all three modules). Columns may be rearranged in the view, items may be sorted by different columns, add/remove points from Point Groups, and more! Hide selected columns, and save your favorite layouts in Quicksets that can be recalled instantly! 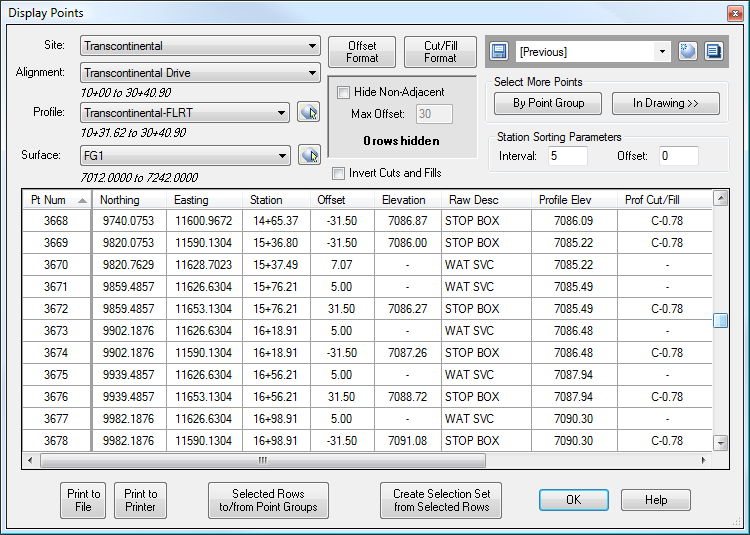 Clicking on any row in the DisplayPoints dialog box calls up the Point Editing dialog box. The DisplayAlignProf command. Data in the view changes as the options along the top are changed. The LotFit command helps compare found monuments to linework. And these commands are only the first to explore some new ways of viewing data in Civil-3D. Look for more coming in the near future! Copyright © 2008-2016 Quux Software CA, LLC.